12/18/18 — Released Why is Change So Hard? 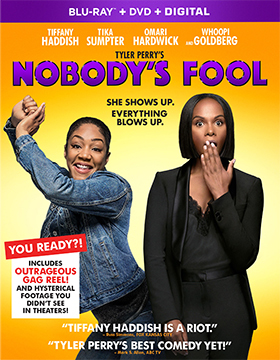 Paramount Home Media announced this past week that Tyler Perry’s latest comedy romp, Nobody’s Fool, will be heading home as DVD and Blu-ray/DVD Combo Pack offerings on Feb. 12. The ARR is 102 days and multiplex revenues were a toasty 31.7 million. Danica (Tika Sumpter — Ride Along), a successful young woman with a nice home, on the fast track to be the first black female VP at her company and enjoying a (seemingly) wonderful online flirtation, has a wrench thrown into her perfect life plans when her “wild child” sister Tanya (Tiffany Haddish — Girls Trip) gets out of jail and needs a place to crash. That’s the base premise of Tyler Perry's Nobody's Fool, and that would have been perfectly fine for a few laughs. But the plot goes further than your typical, polar opposite comedy clash, when Tanya discovers that Danica’s online relationship may be HIGHLY suspect … and impactful on the rest of her life. A fresh-out-of-prison sister is not one to mess with. Add in a wonderfully hilarious Whoopi Goldberg as their eccentric mother and comedic turns from love interest Omari Hardwick (Power) and Amber Riley (Glee), and Nobody’s Fool is perfect Tyler Perry fare. You can often tell how beloved a comedy is by the amount of bonus work that goes into the home entertainment releases … more than an hour of extras here. An introduction by Tyler Perry and Haddish kicks things off, followed by more than 20 minutes’ worth of deleted, extended and alternate scenes that didn’t make the theatrical cut. 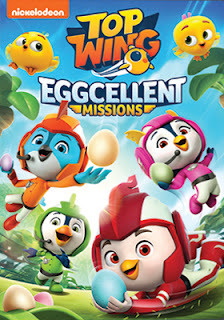 In other home entertainment release news this week from Paramount Home Media, we find that Nickelodeon Home Entertainment production of Top Wing: Eggcellent Missions will be landing on DVD this coming Mar. 5. Eight amazing Top Wing stories are included in this fun-filled collection of animated adventures. Sandy Stork mixes up new egg deliveries … can the mix-up be un-mixed before the eggs hatch??? And what happens with Baddy McBat takes the Flash Wing jet with little Cheep and Chirp inside? There is more, much more, including Rod’s singing talents (loud and louder) getting him into avalanche trouble!!! So come join the fun on Mar. 5 when Top Wing: Eggcellent Missions arrives on DVD! Mill Creek Entertainment announced its first wave of priced-to-collect Blu-ray and DVD product offerings for the month of March, 2019. Included in this priced to collect Combo Pack is director Jim Huggins’ heartfelt — and true-life — tale of a broken man named David (Chris Faherty) who encounters a homeless and abused German Shepherd and they become friends … each healing the other in turn. 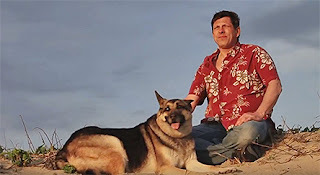 The film is titled Footprints and is based on actual events … seven of the dogs used in the film were rescued animals and Huggins production was entire funded by volunteers (some 500 people participated in the production of the film). 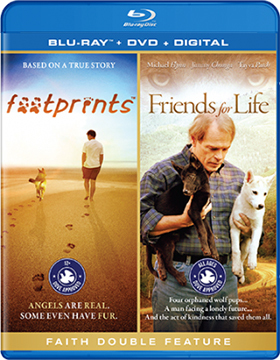 Teamed with it is director Michael Spence’s 2008 orphaned-wolves story, Friends for Life. Jim (Michael Flynn) has just lost his wife and is in deep despair. In something of a miracle, he is visited by an angel (played by Jimmy Chunga), who opens his eyes to a world around him that is full of beauty … a world of wonder that he has all but ignored. He soon discovers a wolf nursing four cubs and comes to her aid, but tragedy strikes and he suddenly finds himself father to the cubs … this “fatherhood” will once again bring meaning to his life. Look to Mar. 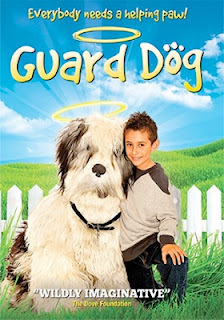 5 for the DVD debut of writer/director Rory Johnston’s magical family-friendly film, Guard Dog. Chance Watson (Oscar Limon-Zarzosa) is a nine-old kid who is acting out after the death of his mother. He lies, he’s flunking at school and stealing things has become a habit, but then he is visited by a sheepdog, a magical dog, who can talk! The dog tells him that Chance’s dreams will come true if he follows the rules and changes his ways … and soon enough he goes from brat to A-student, who helps those around him. But is the dog real? Has Chance gone off the deep end? Following in the theme of faith-based films, and also making its DVD debut on Mar. 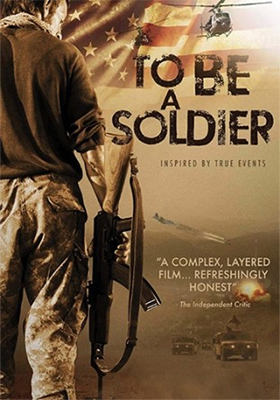 5, is director Adam Dufour’s film festival award-winner and recipient of the Dove Foundation's Seal of Approval, To be a Soldier, which is inspired by actual events. Gregory Kirk (Jacob Dufour — Saving Faith, The Redemption of Benjamin Black) is a British insurance salesman whose sister has gone missing in the Middle East. He is ill-equipped to go looking for her, especially if his worst fears are realized … she may have willingly joined ISIS. He decides to pose as a journalist and then recruits a broken-down ex-Army Ranger by the name of Bryce (T.L. Bridger) to aid in his mission. It may well be a suicide mission, but off they go, encountering terrorists and extreme conditions along the way. To be a Soldier is in many ways a tale of redemption and somewhat unexpected in its delivery, especially for a Dove Foundation promoted film. Arrow Video, with domestic sales and distribution expertise provided by MVD Entertainment Group, goes to the vaults on Mar. 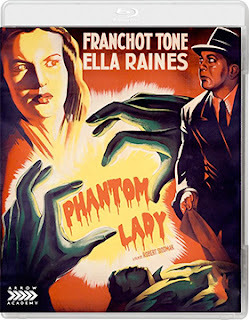 12 for the Blu-ray release of director Robert Siodmak’s 1944 film noir mystery, Phantom Lady. A new transfer from the original film elements of this Joan Harrison film production is what Arrow Video has planned. Of note, she was twice nominated for Oscars for her screenplays, Rebecca and Foreign Correspondent (both directed by Alfred Hitchcock … she also provided scripts for Hitchcock’s Jamaica Inn, Suspicion and Saboteur). 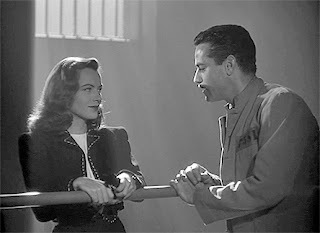 Harrison would go on to produce director Robert Montgomery’s film noir gem, Ride the Pick Horse, filmmaker Edwin L. Marin’s film noir murder mystery, Nocturne (teaming George Raft with Lynn Bari) and director Irving Pichel’s 1947 film noir entry, They Won’t Believe Me (starring Robert Young, Susan Hayward and Jane Greer). She produced a few more films in the late ‘40s and very early ‘50s before abandoning theatrical productions and turning her attentions to the new medium of television. From 1955 through 1962 she re-teamed with her mentor Alfred Hitchcock and produced his anthology series, Alfred Hitchcock Presents (14 Emmy nominations in various categories, with wins Best Editing in 1956, Best Writing in 1957 (James P. Cavanagh) and Best Direction in 1958 (Robert Stevens). 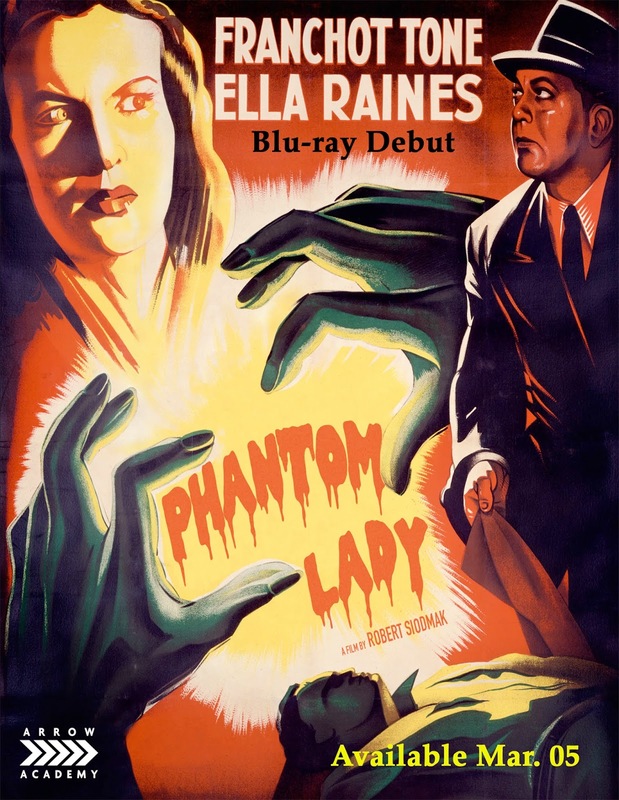 As for Phantom Lady, this was the first film that Harrison produced (only three women in 1944 were film producers) and it was director Robert Siodmak’s first dip into the film noir(ish) pool … he would go on to do The Killers (1946, Best Director nominee), The Dark Mirror (also 1946), Cry of the City (1948), Criss Cross (1949) and The File on Thelma Jordon (1950). 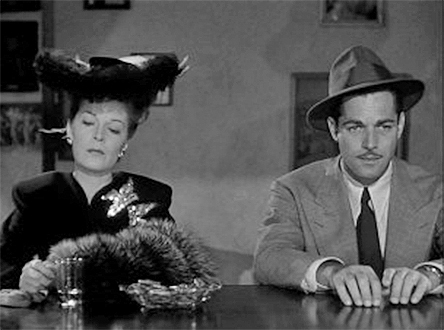 Scott Henderson (Alan Curtis — The Invisible Man's Revenge, High Sierra), a New York City denizen has a blow-up with his wife over her not wanting to attend a stage show and heads to the local watering hole to drown his sorrows. There too is a mysterious woman (played by Fay Helm) who is as gloomy as he is and they end up using the tickets. An odd event occurs during the production involving the lead (Aurora Miranda) and then Scott and the mysterious woman go their separate ways. A strange evening takes a turn into darkness when Scott returns home to find the place crawling with police and his wife murdered. In charge is Inspector Burgess (Thomas Gomez), who listens to Scott’s events of the evening and figures he has an ironclad alibi. But, upon checking with the bartender (Andrew Tombes), a taxi driver and the star of the show, his alibi falls apart as none of them recall Scott or a mysterious lady. He is charged with murder, convicted and sentenced to death. End of story? This is where the film takes another turn. Scott’s secretary, Carol (Ella Raines — Brute Force, Impact), is secretly in love with him and decides to become an amateur sleuth, which turns out to be a very dangerous undertaking as her life is constantly in peril. She will cross paths with the likes of Scott’s best buddy, Jack Morrow (Franchot Tone), Cliff, a drummer at the show (Elisha Cook Jr.), a doctor named Chase (Virginia Brissac) and a milliner by the Kettisha (Doris Lloyd). Can she solve the mystery of the “phantom lady” and discover the real killer before she too falls victim … or the clock for Scott ticks down to zero and he is executed!!! Bonus features include director Paul Joyce’s feature-length documentary, Dark and Deadly: 50 Years of Film Noir and the Lux Radio Theatre production of Phantom Lady with Ella Raines reprises her role as Carol. Women-in-prison is a whole film sub-genre onto itself. Usually it’s sexual fantasies run rampant with lots of action and plenty of flesh. 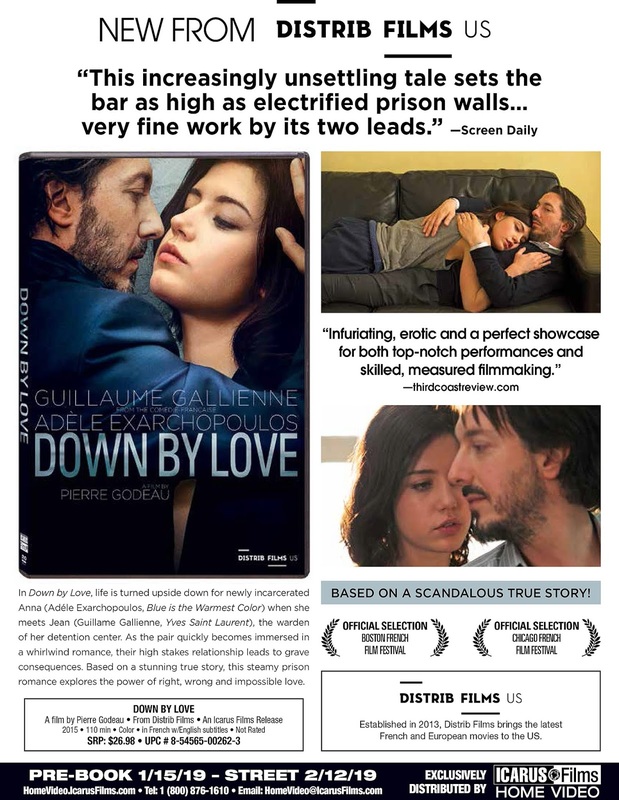 You get the Distrib Films production of Down by Love, which will be making its domestic DVD debut on Feb. 12 courtesy of Icarus Films. Anna (Adèle Exarchopoulos) is a female prisoner, whose crimes we are not initially privy to (in real-life she was “the bait” for a gang of kidnappers and murders known as Les Barbares). She ends up an adult prison run by 40ish warden by the name of Jean Firmino (Guillaume Gallienne — Yves Saint Laurent, Me, Myself and Mum, etc. ), who is happily married, with a child and is roughly twice Anna’s age. Seductive young woman and prison warden … with a French twist. The simple infatuation turns to an affair and the chances taken escalate to the point where watching the events unfold literally make you squirm in your seat! What a delight! The film had a very, very brief arthouse run back in 2016, so Down by Love is virtually unseen by American audiences. Put it on your Feb. 12 home entertainment viewing list … you will not be disappointed! Down by Love is presented in French with English subtitles.